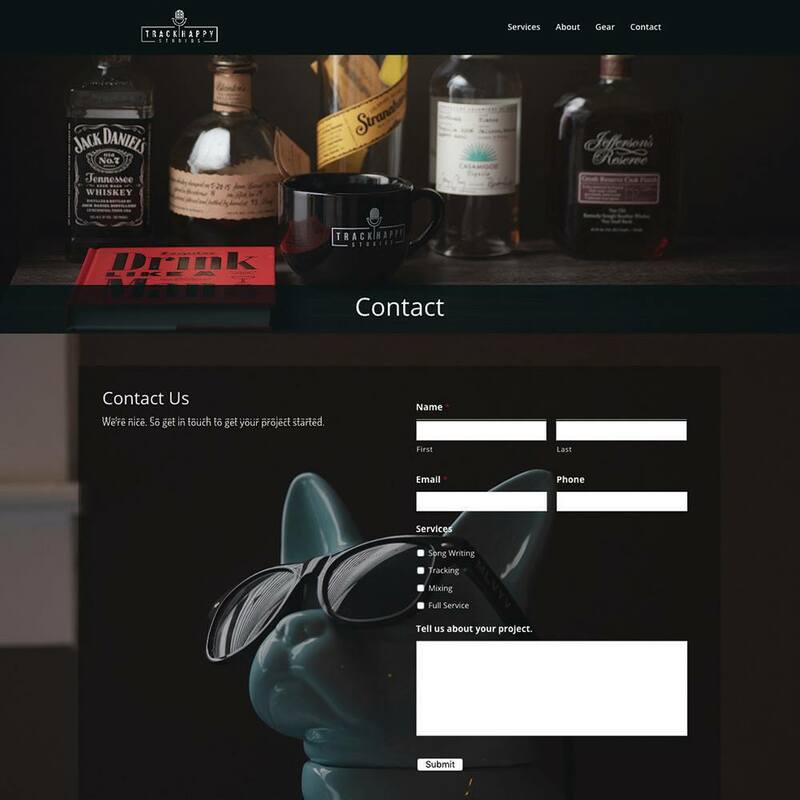 Here’s a fun one that I had the pleasure of working on earlier this year. 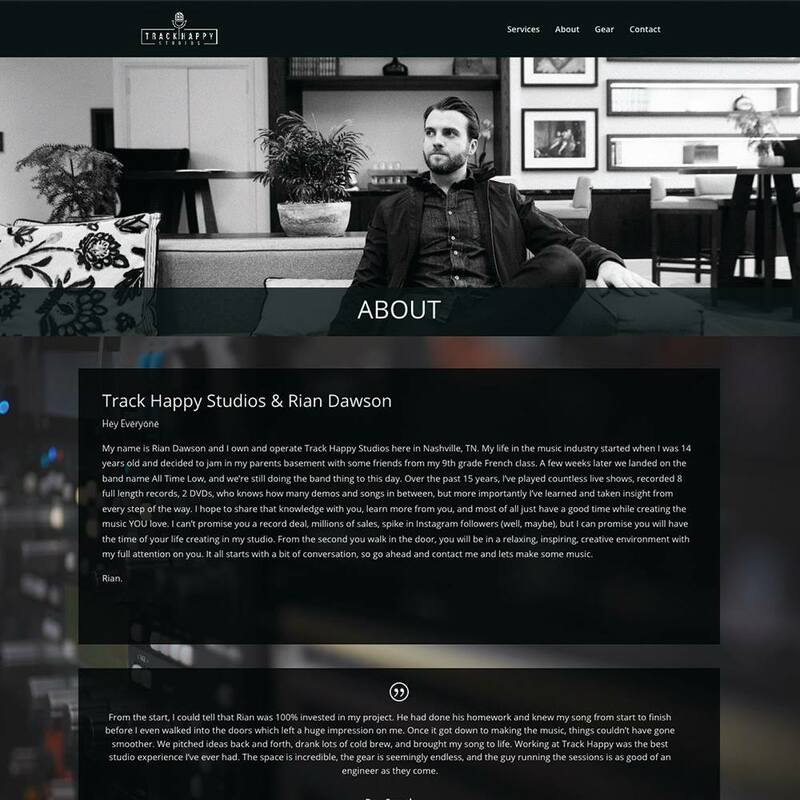 Rian Dawson hit me up to design a website for his own studio, Track Happy Studios, in Nashville. 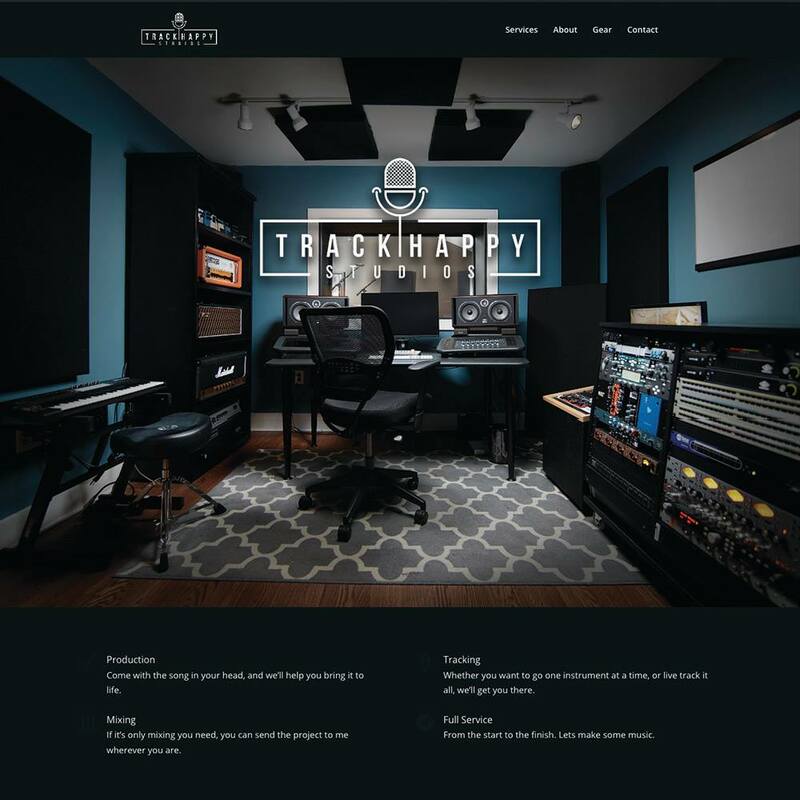 I had a blast working with Rian to get this site put together in a way that looks awesome, but more importantly showcases his business, everything Track Happy can offer his potential clients, what to expect when you work with him, and most importantly making it easy for new clients to get in touch. Rian is also in a rad band called All Time Low. I have a few of their records because I really like Rian’s work. 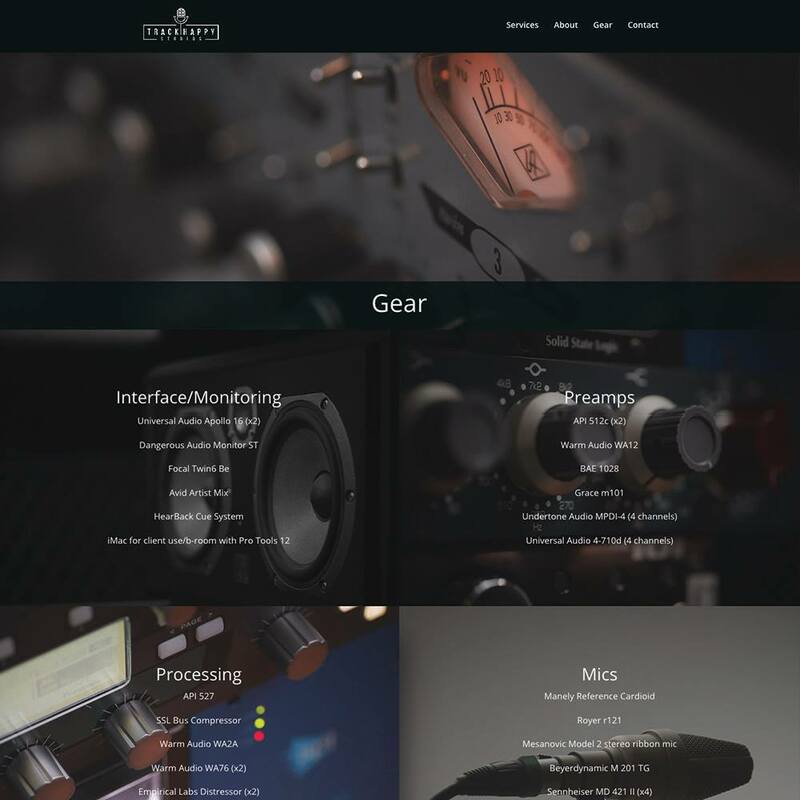 I’m stoked that he now has one of my websites. 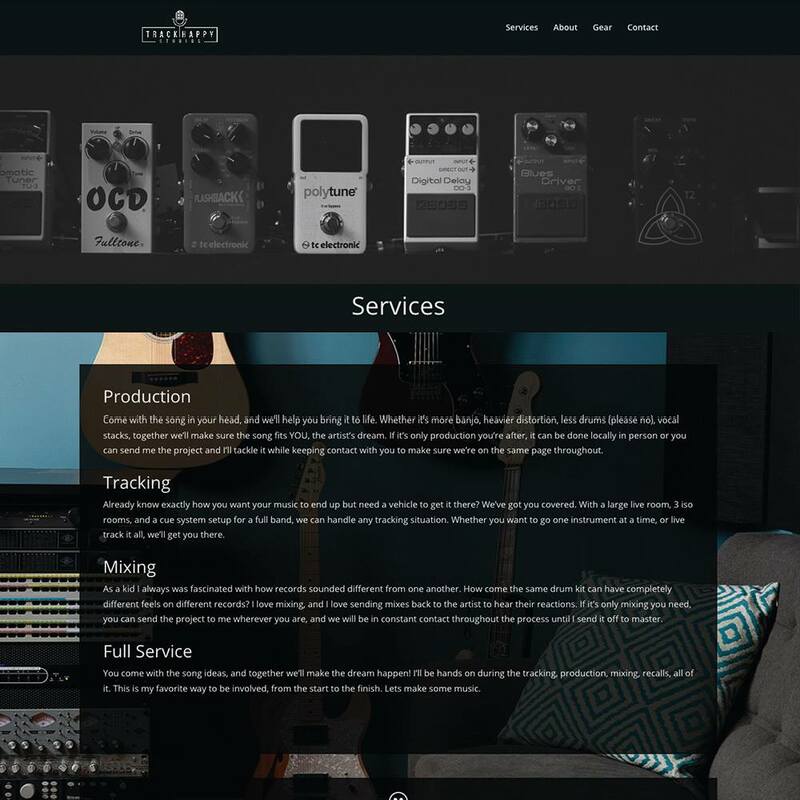 Thanks for letting me do some work for you, Rian!